When it comes to understanding what drives the decisions of physicians when they prescribe pharmaceuticals, conventional market research methods fall short. Often the measurement (physician interview) takes place long after the occurrence (patient consultation). The resulting time lapse leads to over-rationalization and generalization, missing the depth behind physicians’ prescribing decisions. 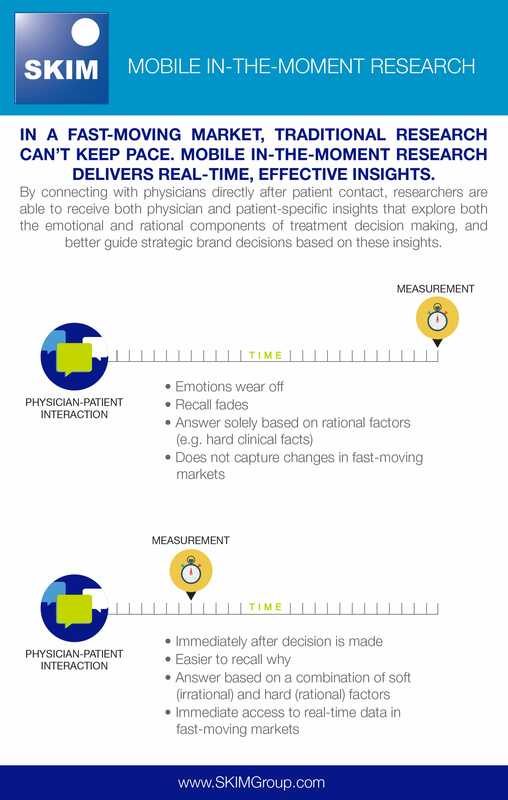 In this infographic, we show you the benefits of utilizing in-the-moment mobile research for physician-patient interaction. Interested in hearing more? Get slides and downloads of our presentation and poster sessions on this topic at The PMRG Institute 2015!